Two of 2018's most hated cultural properties are certainly Eminem's Kamikaze and Ruben Fleischer's Marvel movie Venom, so it only makes sense that the two are intimately linked. 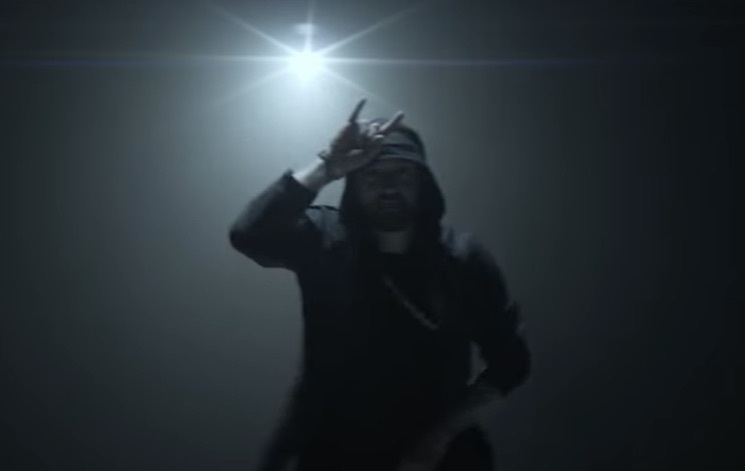 Em has furthered that connection with a new video for his soundtrack single. In the clip, Eminem continues to wander around a city while delivering his quick sing-songy rhymes. All around him, people are infected (by his music perhaps?) and become a monstrous rapping machine of their own — a sort of Veminem, if you will. Eventually, Em turns into everyone's least favourite 2018 anti-hero by the end. If that all sounds like your type of thing, you can watch the video below.